I don't know how it is already August, or that August is about half over..but apparently it is. Looking back, July was a great month. I went to North Carolina to visit one of my best friends and haven't laughed that hard in MONTHS. This last week I was up in Northern Iowa and then on vacation with my family. That is the only week out of the year where I don't do any sessions or open my laptop, and it's always such a nice break and relaxed time to spend with family! Before we dive into goals, here some things to woot about -- since I haven't done that in awhile! + Hillsong Empires. This album is the bomb dot com..so obsessed with it and the solid lyrics in their songs. If you've never listened to it before, here you go. :) Some of my favorites are "Captain", "Even When It Hurts", and "Rule"
+ And speaking of music, just the other day I came across THIS song by Bethel music..love it. + Mouth Party Caramel. Oh. My. Word. Recently a friend gave me some of these caramels, and I had heard good things about them -- but MIND OFFICIALLY BLOWN. I mean, I don't even like caramel much and rarely ever get it on my ice cream, but this stuff basically redefines that golden goodness. Do yourself a favor and buy some now. + On Instagram I have started a weekly series where I share a photo tip each Tuesday! You can find me @HannahElisePhotography, or check online each week by clicking HERE. To find all the posts I've done so far, search the hashtag #HannahEliseTuesdayTip. + finish reading "Great Expectations". Seriously can we all just take a minute to say how amazing of a writer Charles Dickens is?! I can't even. Who needs to ever watch movies when you've got his novels that are so vivid?! + Work during 'normal' work hours. Being self-employed I have this bad habit of working until 2 am, or just always feeling like I should be working in general and so I've decided to try and streamline my editing/emails/etc to within the hours of 9-5 like a normal person (I know right -- what an idea?!). That way I do other things in the evenings like reading, chill, etc. + Take new product pictures / update online portfolios. + Begin work on 2015 client Christmas gifts. I'm one of those people who is already stressing about what I will decide to do for this December (yes, it is still summer and I am obviously a control freak who wants to be ahead of the game, feel free to laugh) :) But in all seriousness, fall is such a crazy time of year for me that I want to already have my foot in the door on this so I'm not scrambling in November! + Also a quick heads up that I am booking NOW for fall sessions! My calendar is filling up quickly, and if you wait until September to contact me odds are I won't be able to fit you in. I hate saying no but have to limit myself with what I can handle. 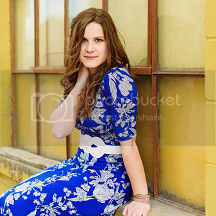 :) E-mail hannah@hannaheliseblog.com for family/seniors/engagement/maternity or send me a message through THIS link! What are you hoping to accomplish here in August? Thank you for sharing those songs and for all of your fabulous photog tips! And that caramel looks absolutely delish, wow. (And, btw, related to "things to woot about"...finally tried Talenti gelato! Sea salt caramel. Wow, I know what you mean - yum.) So glad you were able to have that refreshing time at camp! Much love, friend! I'm definitely looking forward to wrapping up all last minute college-y things and for my family vacation that happens to be in North Carolina too! Thanks for the permission to laugh. I did. =) Ah, how I love your writing style. =) And YOU.